Which basic factors motivate you to manage your finances? Find out the factors which motivates you to save money for loan run. If you want to build a great financial future, then you must not ignore the importance of self-motivations. It’s quite natural, that most of the people ignore self-estimation, when it comes to their financial issues. The reason behind this is actually some common thoughts. 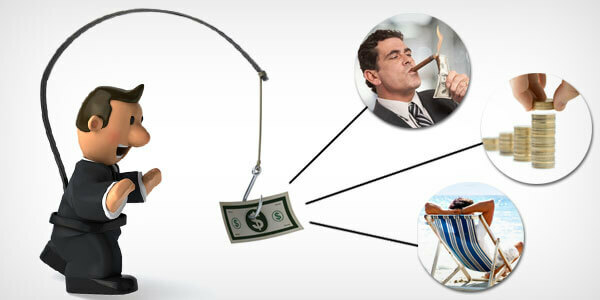 They believe that the money is an object which has a continuous flow throughout their life. Most of the time they do not think, why they are spending so much without thinking about the future. So, if you want to understand your finances clearly, you must find the factors of motivation. Sometimes, you might realize that you have taken few wrong financial decisions which is illogical with respect to your vision. Building a high status is the greatest money motivator. There is nothing like impressing your friends, family and others by showing off your high status. But, if you find out that keeping status is the key reason behind your unnecessary spending habits, then that might be shocking for you. It‘s because we normally want to fit into the shoes of others. We try to follow high lifestyle to match with the elite class. Sometimes, we just spend too much to maintain our high class, and that mistake return back to us like a bang! But you can't ignore that it‘s a very aspiring thing. Of course, this uncontrollable weakness to impress others can also motivate you for being generous. And out of that generosity, you can be devoted to charity, which is a good thing. Many people use their impulse to appear generous, and it motivates to donate a huge amount to some worthy causes. In several cases, people achieve motivation from their own requirements, from the necessities of daily life. Would you prefer to watch a movie in a theatre by spending the money allotted for your groceries? I hope not. Putting your main priorities (grocery) ahead is surely proving the fact that you are more aimed at having what is needed for survival. You are mainly focusing on your necessities rather than luxuries. That decision tends to work extra on jobs and provoke you to cultivate additional income for a better living. The more you can earn, the more you can save for the future. Sometime, financial motivation comes from sheer fun. If you want to live and enjoy life in the future, with no restriction on spending money, that desire may motivate you to save today. It would be totally unwise, if you choose spending rather than thinking ahead. What would be the meaning of having a vacation tour by spending the whole month’s salary of yours? It would be better to save up for lavish vacations, rather than gearing up expenses today. People make choices based on their quality of life. Some people believe that, the more you can get, the more you’ll be happy. They’re driving their lives crazy, being focused on personal comfort. And for that reason, they never hesitate to buy new commodities as per their requirement. But you should keep in mind that, having a high quality life may cost you more than you can imagine. On the other hand, there’re some people who spend their money, depending on their experiences. They’re always interested in participating frugal family behaviors like group picnicking. Their frugal mentality motivates them to engage themselves in quality family activities, along with saving money. People who forecast about their coming days, more than their present, always tend to build financial stability by saving more in retirement investment accounts. They plan to save today rather than having fun so that they can have a more secure financial future. Stop making your next money decision, especially if you are going to purchase anything. Verify your needs, and ask yourself, do you really need to make that financial decision? Probe your choice and properly assess - why did you choose it? If you don’t like the plan and want to back off, maybe you should set your priorities again and search for new factors of motivations.